Modern history details the development of human civilization and human culture, shows us how people have gone evolution from cavemen to modern. As technology evolved, from the invention of the wheel – to travel in space. This path would have been impossible without the human desire to grow, develop. Without the desire to know the unknown, to expand knowledge create a unique and unprecedented and still no one had seen. It is this desire to the unknown person has formed a specific form of human activity, which is now called science. Science is a special form of human activity, which was formed in the course of history, which results in laws, hypotheses, theories, selected facts methods. Science is a manifestation of scientific activity. Science is a creative intellectual activity. Its objective is to obtain and use the newly created knowledge. The main forms of it – is applied and fundamental research in science. Science mover mainly are scientists – scientists, people involved in specific research activities and develop science in its specific fields. In Ukraine, as in other countries, science has become a direct source of economic growth and an integral part of the national public education and culture of Ukraine. In modern society, scientific activities, as well as other human activities aimed at creating specific goods or the provision of certain services is paid. But the question – “Is it enough to pay for research activities?” To at least roughly to answer this question, we need to analyze Ukrainian financial and price indicators. So we are able to conditionally “look in your wallet” working people of Ukraine. Online news.finance.ua 10.12.2015 published such information. Analyzing it can be concluded that scientists in Ukraine earn less than desirable. For comparison, a senior teacher of the university, which deals with science, working on scientific work or conducts research and development receives an average of 3,6-3,8 thousand UAH. While regular seller of clothes on “Darinok” in the capital a month receives from 3.8 to 4 thousand, we go further – the owner of the container on the market, “7-km” in Odessa 40 thousand UAH. These facts may indicate only one thing, science in Ukraine is almost financially supported by the proper level, and probably kept the enthusiasm of most scientists and their quest to develop scientific desire to find the truth. And unfortunately, only feeding on human desire, far science does not go up. I think our government should analyze the financial support of scientific activity in Ukraine and understand that science – this is the main driving force of society and the state. 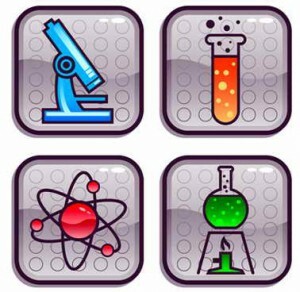 Investment in science sooner or later will give a positive result, because there is the smallest chance, do not borrow endless loans IMF deeper tightening state into debt and set up a system of science, streamline and organize the work of scientists, helping them to create new products, competitive level of other countries. In our country there are so many talented people. It is no secret about it but no one thinks. Our research and development is rarely funded by the state, and often not even interested. Take the example developed in modern Ukraine «kvadrokopter» that on some properties are better than other known models. Its development was carried out at its own expense the developer. That is, we have the right product we created compatriot, and it is possible to produce commercially and thus meet the need for this unit in eastern Ukraine, which is still ongoing anti-terrorist operation. At the same time it is the state “blind eye” to the existing product and buys the same similar and sometimes worse drones abroad, spending a lot of money. In addition, we could not just make them not only domestic needs but also to introduce the product on the international market, which would bring an additional income. This example demonstrates the indifference of the state to domestic developments in different areas, and lack of interest in supporting their development. Returning to the work of the teacher. The foregoing information suggests that wage teacher-scholar slightly exceeds two living wages. It seems to be: “Until two subsistence minimums !! This is more than enough! “, But unfortunately this is not so. Law of Ukraine “On the State Budget of Ukraine for 2016” from 25.12.2015 g. N 928-VIII, the following amount of subsistence minimum per one able-bodied person – 1550 UAH. But we do not take into account the prices of basic livelihoods, including public utilities. So, to live in Kiev in the apartment, paying all the bills and eating at home (only the cost of food) to spend more than 2 living wages. And what to do when a sum not expects one person and the family? To answer this question is much more difficult. This fact leads us to the same conclusion that Ukraine’s scientific activity is demeaning because it is low-paid, which leads to fewer livelihood scientists, and makes them look for another job, more highly paid. In this way entails a reduction in the development of science, the loss of an opportunity to be competitive at the world level in various fields of science, the decline of the state economy, and finally the loss of additional income opportunities and enriching the state treasury. • give priority to domestic products and not foreign, and thus save at least partly to strengthen public confidence in the government. Gradually embodying these minimum and necessary actions can bring state science at the appropriate level, and then you can also set the pace and other countries by example. This entry was posted in Social and tagged Financial, science, Ukraine on 06/03/2017 by Mary.